Why Select a Master Elite Contractor? At Exterior Source, we provide a large number of fantastic home remodeling options for homes throughout the Kill Devil Hills areas. These options include gutters, shingle roofing, siding, replacement windows, and doors. No matter which service you choose, you can rest assured that the products and service from Exterior Source will be outstanding. Gutters Kill Devil Hills: Making sure that your home is protected by gutters is important to your foundation, landscape, and much more. A good gutter system can save you a lot of trouble and expenses by preventing damage. Shingle Roofing Kill Devil Hills: The shingle roofing we carry is the number one selling roof in North America and provides protection to your home that is superior to that of any other shingle. Siding Kill Devil Hills: Our siding options are some of the highest quality you’ll find in the industry. Featuring options from CertainTeed and James Hardie, you can be certain our siding will increase curb appeal and energy efficiency for you home. Replacement Windows Kill Devil Hills: We inform you of all there is to know about the wonderful selection of replacement windows we offer at Exterior Source. This includes their energy-saving qualities and even what to look for when shopping for windows. Doors Kill Devil Hills: The exterior doors we have are designed to provide your home with stronger security, enhanced curb appeal, and energy efficiency. Regardless of your home remodeling needs, the professionals at Exterior Source have the answers for your Kill Devil Hills home. Our remodeling products are each designed to make your home’s exterior better than ever before. Whether it’s with our unique gutter system or our premier siding products, your home will be the envy of the neighborhood. All you need to do is contact us today for your free consultation. Which Location is Closest to You? Couldn't be happier with our Leafguard gutters installed by Exterior Source. Rob worked with us to change the design and locations of the downspouts which has made a big difference in both the look and functionality of our system. The installation team did a great job. Money well spent! It proves the old adage, "you get what you pay for". They are the most professional people that I have had come to my house to do work. They were very clean and they did everything great. I am very satisfied. Sean and the workers, were all very professional. Exterior Source is 100% on customer service. I am real satisfied and happy. It looks great! They were absolutely the best company that I have dealt with in the last 5 years. With me, you either get it right or I will come back at you and I have never dealt with anybody that was as competent and cooperative as they were because I did have some problems and when they got to those problems they called me, they showed them to me, and they fixed them at no extra charge. I thought they did a great job. They were on time, they did the work they said they would do, and I appreciated it. It was a pleasure doing business with this company. Great product with first rate installation. It would be difficult to find a similar product, with pro's installing it right each time. 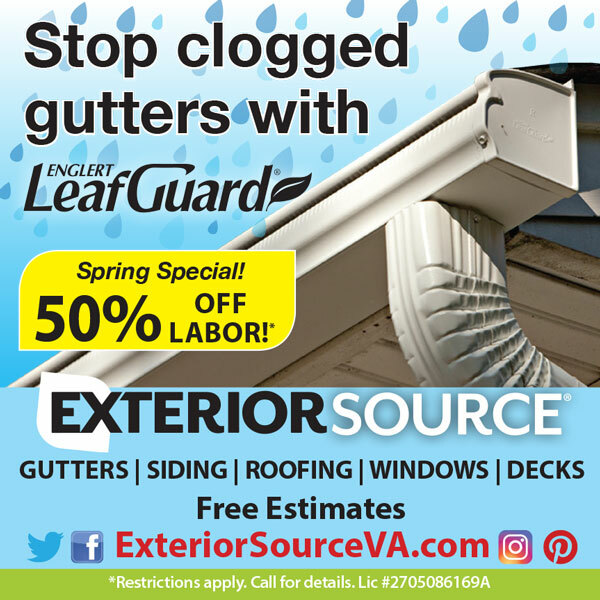 I have used this company for all of my home gutter needs and work that they performed several years ago, still functions and looks great. My experience with Exterior Source was professional from start to finish. And, I had jobs happening at two different homes. Andrew was thorough and professional in his presentation and everything he told me actually happened. The crew was awesome: friendly, helpful and brought to my attention anything that was unusual. Exterior Source did an amazing job with a very complex gutter system. We had at least 12 different roof lines with numerous complex downspout configurations, and they fitted all of them to perfection. They were totally professional, timely and reasonable. They were very professional. David was on time, professional, and explained everything about what we would get. The workmen were very polite. They cleaned up before they left, and didn't even leave a nail. It was wonderful work from a wonderful business. This is our second experience with Exterior Source. It went so well the first time, we came back for our next home as well. And went every bit as smoothly the second time around! Exterior Source is a great company. The representative was very professional and informative. I am highly satisfied with the product and service!! Everything was exceptionally well done. They were professional and polite. Everyone I dealt with was great, both sales and installation. We had quoted from other companies offering a similar product, but Exterior Source was by far the best at understanding and providing a solution which both fit our needs and dealt with rain runoff issues we didn't even know we had. Job well done! Reasonable price. Excellent service from beginning inquiry through follow-up after the gutter installation was completed. Have already recommended them to friends who were similarly happy with the service. Everyone was very professional, willing to listen and answer all of my questions. The salesman knew the answers to every question I asked and he was professional and wonderful. The crew was so fast and great I couldn't believe it. Great product. Efficient, professional staff and crews. A pleasant experience from start to finish. 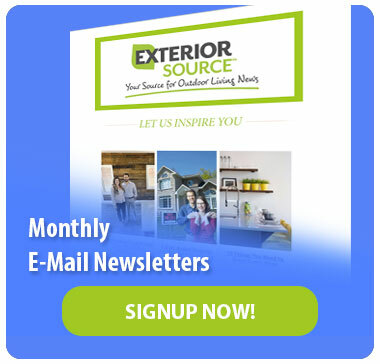 I would highly recommend Exterior Source for any exterior work you need on your home. I have used Exterior Source to replace both my gutters (several years ago) and now my windows; the doors will be next. Not only do I love the quality of my new windows, but I was very surprised at how much quieter my home is! Copyright © 2017. Exterior Source. We are working on making our site ADA Compliant. Signup for our Newsletter to stay up-to-date on new offers, events and new blog posts!